The Fox River. Photo courtesy Gran Tivoli. There are some dusty bottles on a back bar that rarely, if ever, get pulled off the shelf. And crème de cacao is undeniably one of them. As a chocolate-flavored liqueur, it’s inevitably associated with the kind of sweet, creamy drinks you’d see on cocktail lists a decade ago. But in recent years, higher-quality bottles have come onto the market—like Tempus Fugit Crème de Cacao, made with Venezuelan cacao and Mexican vanilla. It’s rich and complex and, according to David Fisher, Beverage Director for Peppi’s Cellar at Gran Tivoli in New York, delicious in cocktails. Case in point: his “Fox River,” a simple stir of Rittenhouse, crème de cacao, and peach bitters, in Old Fashioned-like proportion. “The crème de cacao brings out the chocolate notes of the Rittenhouse,” he says. “It also helps to bring forward some of the secondary notes like banana and cinnamon in the rye.” A lemon twist finishes it off. Despite crème de cacao’s reputation as a less-than-serious ingredient, this is certainly a serious cocktail, one to nurse and linger over. Directions: Combine all ingredients in a mixing glass with ice and stir until very well-chilled. 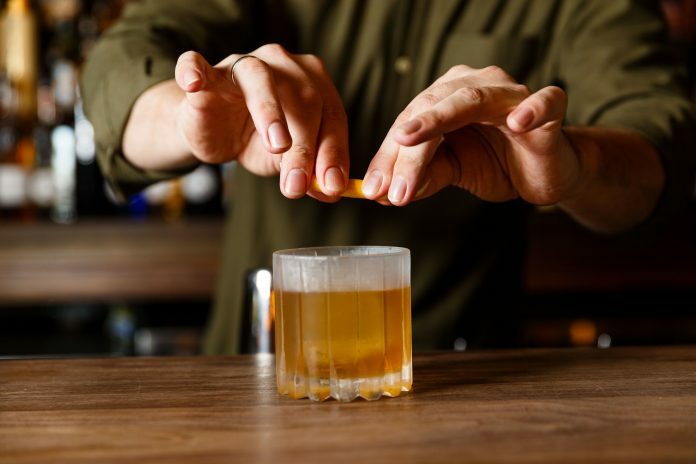 Strain into a rocks glass with a large ice cube. Garnish with a long twist of lemon.